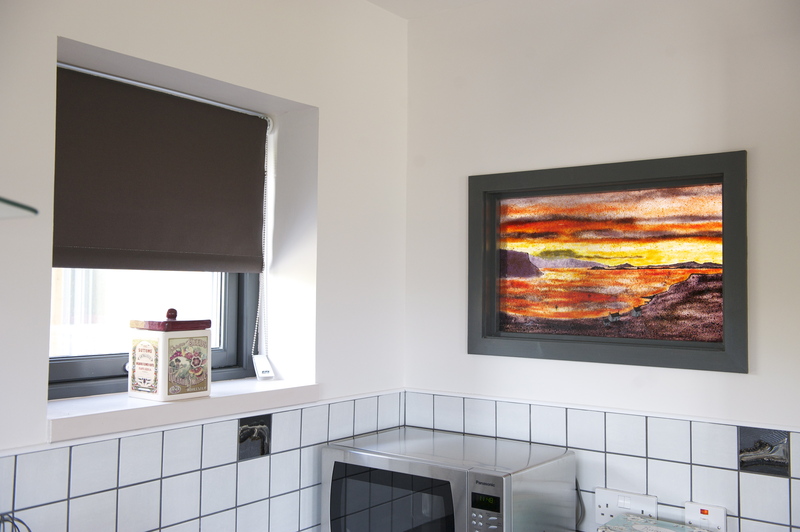 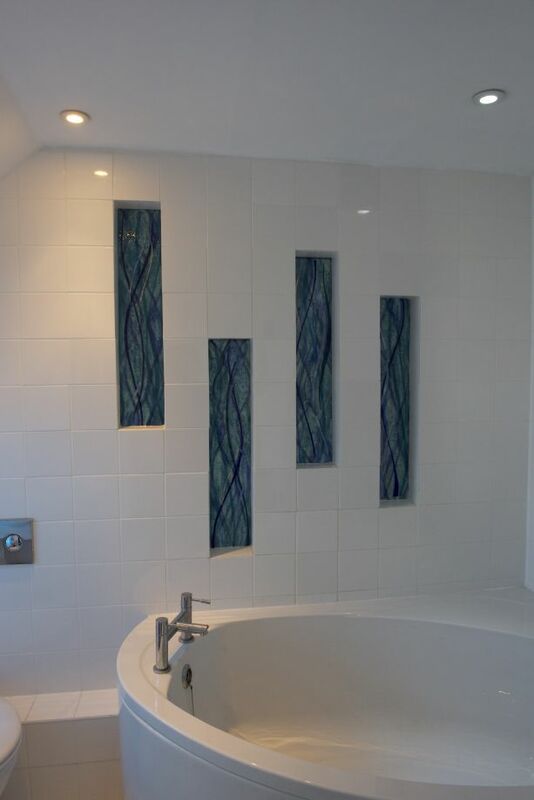 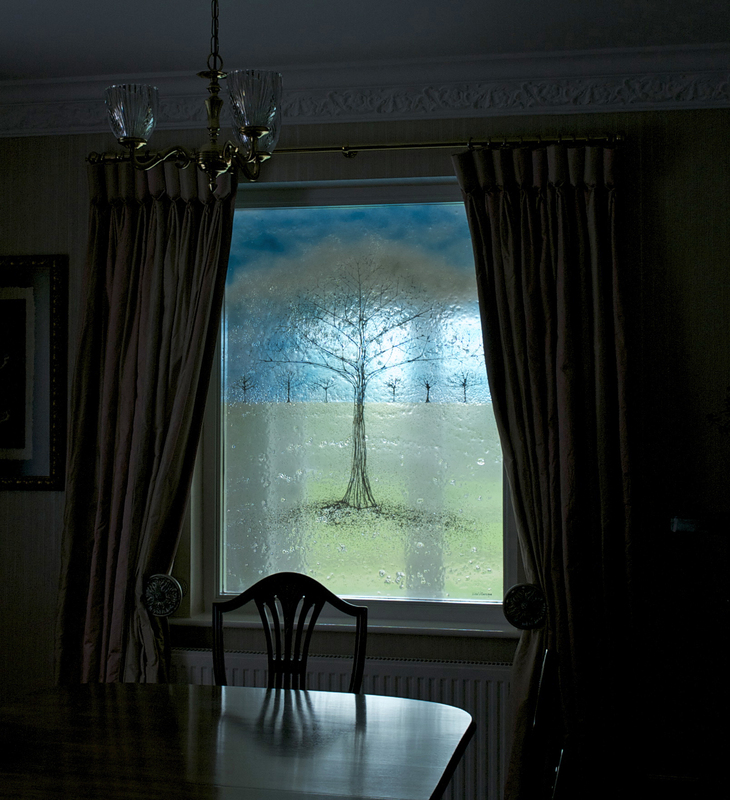 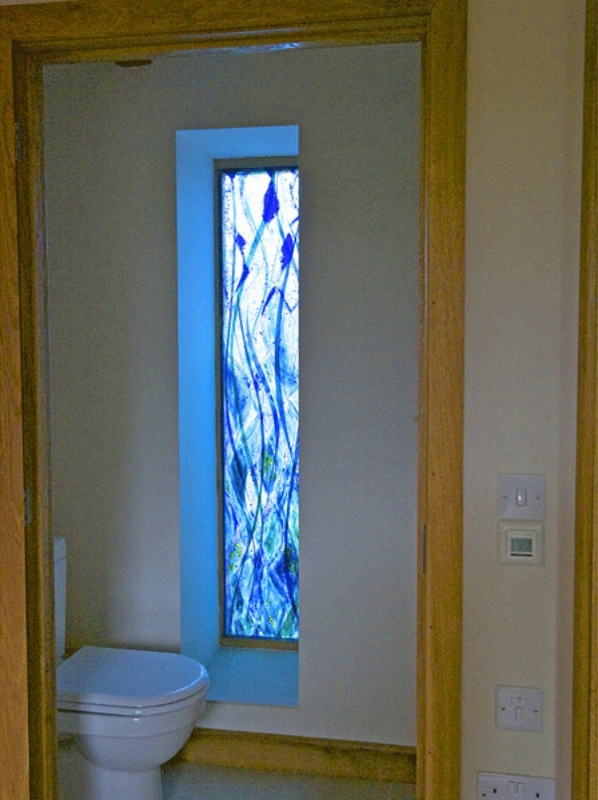 Bespoke fused glass panel fitted into the double glazed unit. 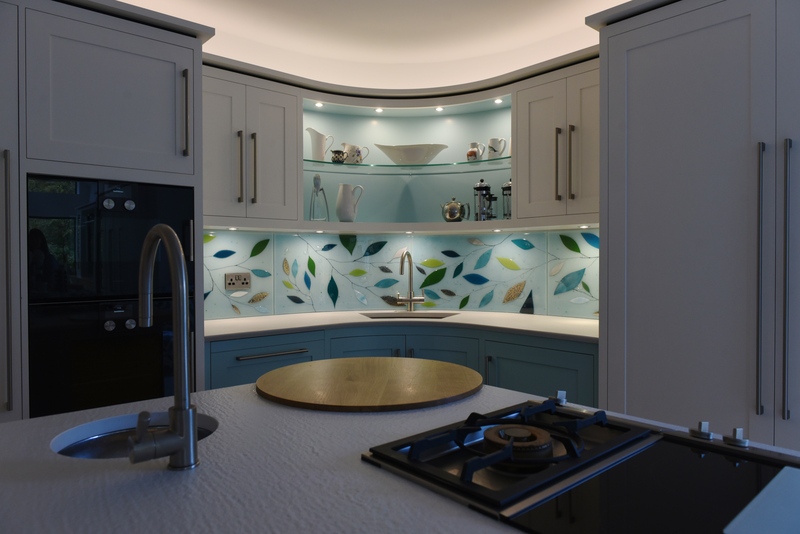 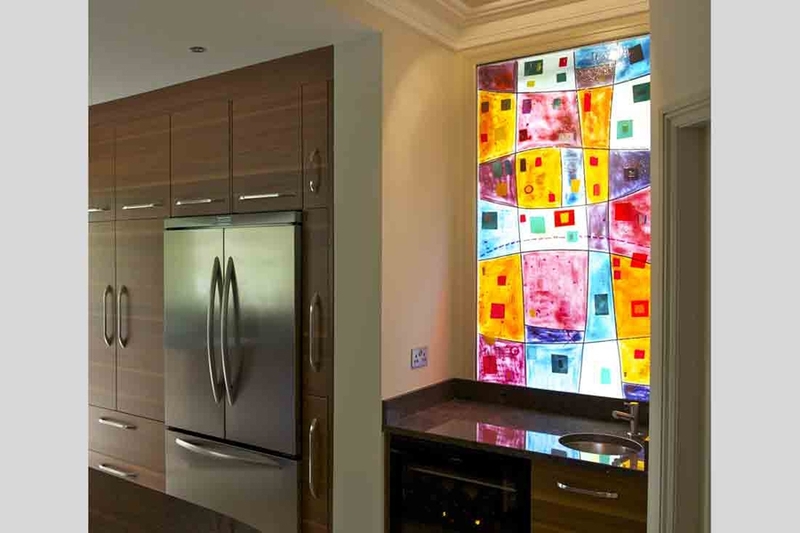 The result is a varied and dramtic lighting effect in the kitchen during the day. 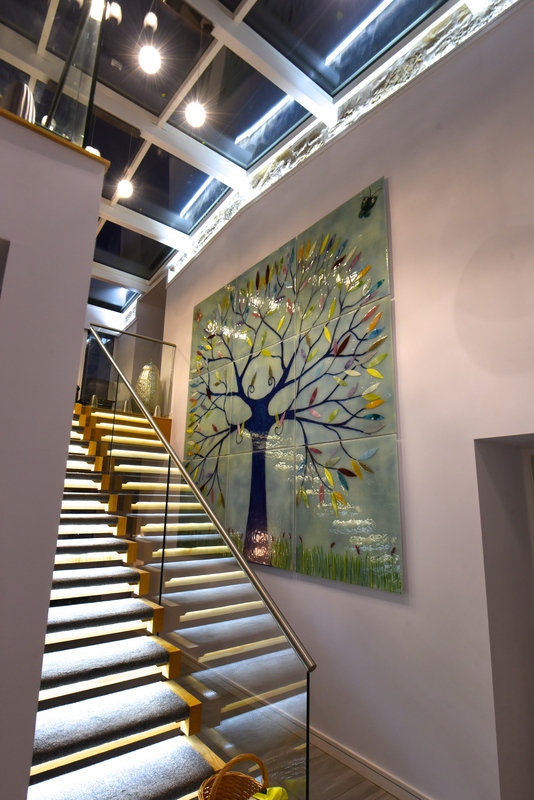 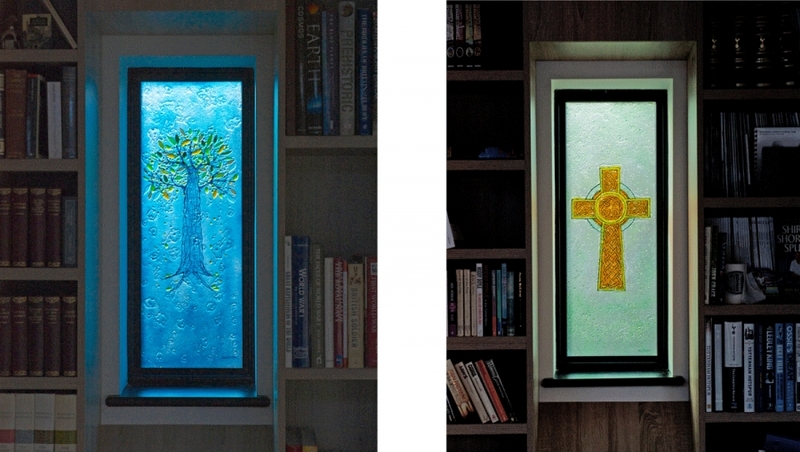 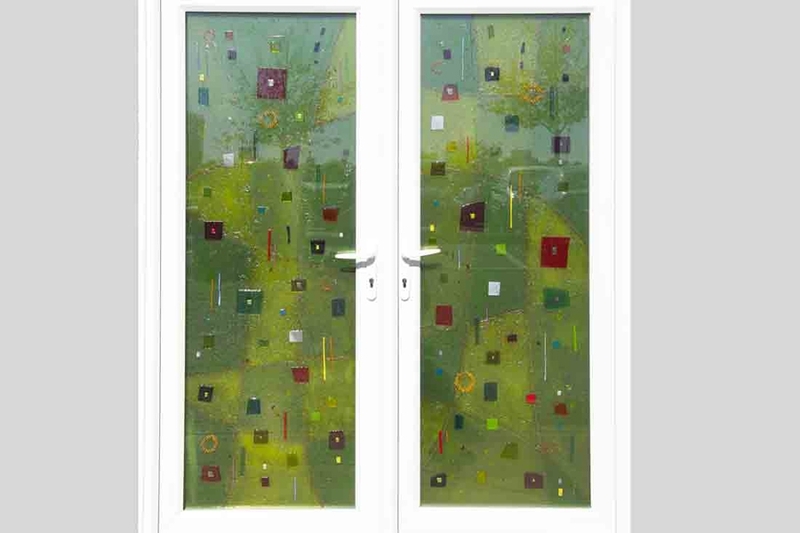 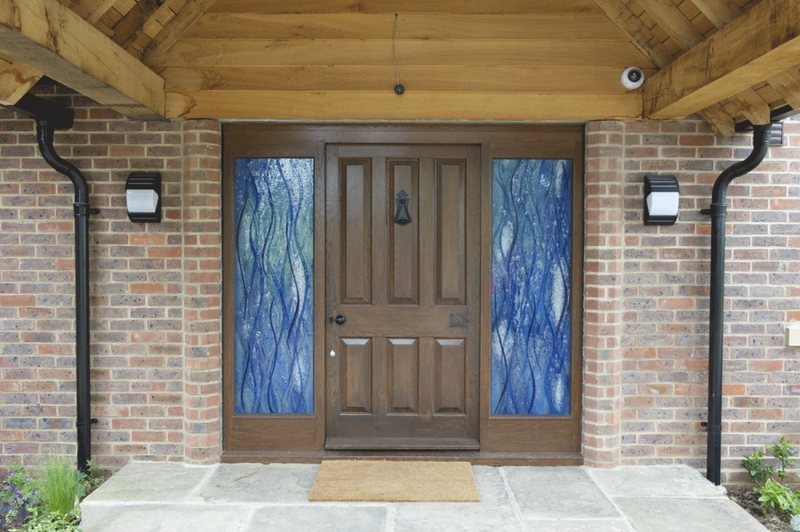 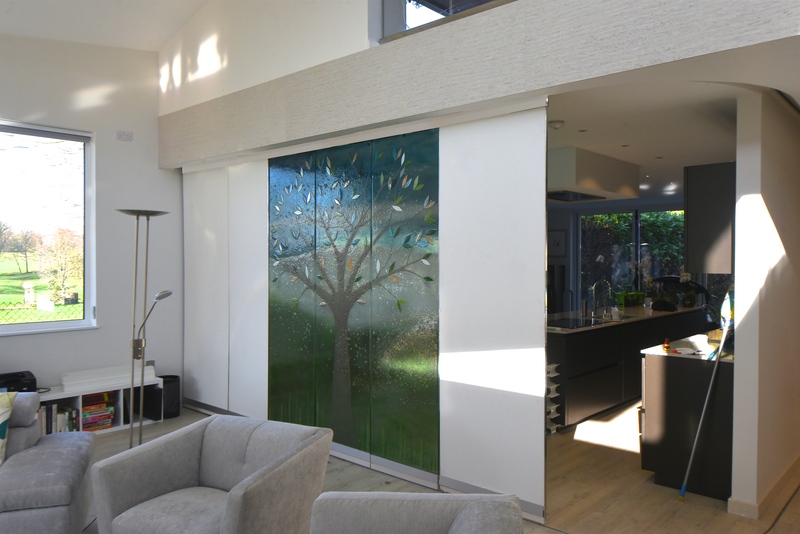 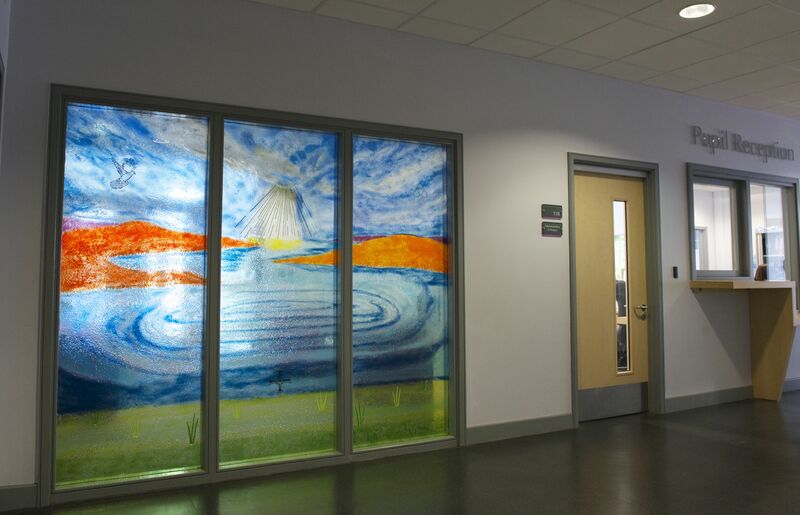 The glass art is both obscure and transparent looking very impressive from the outside particularly in the evening when benefiting from the kitchen lights.